While you all may be thinking I left the knitting world and jumped to basketball……wrong……I have been having my own little March “knitting” madness going on. 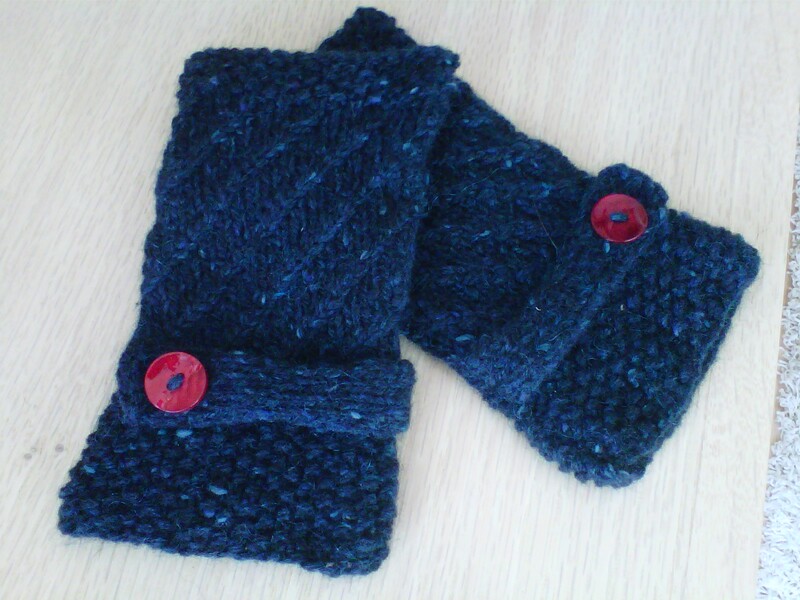 I have been knitting mittens, yes, I know in March! I should be finishing my last warm sweater….did not happen, or perhaps planning and starting spring things…..did not happen. 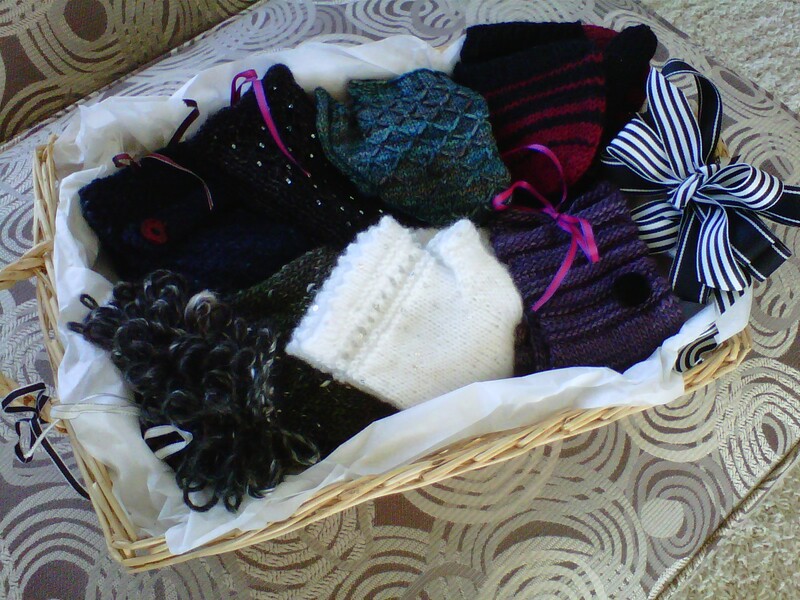 Instead I knit seven pairs of mittens! So….you know me by now. 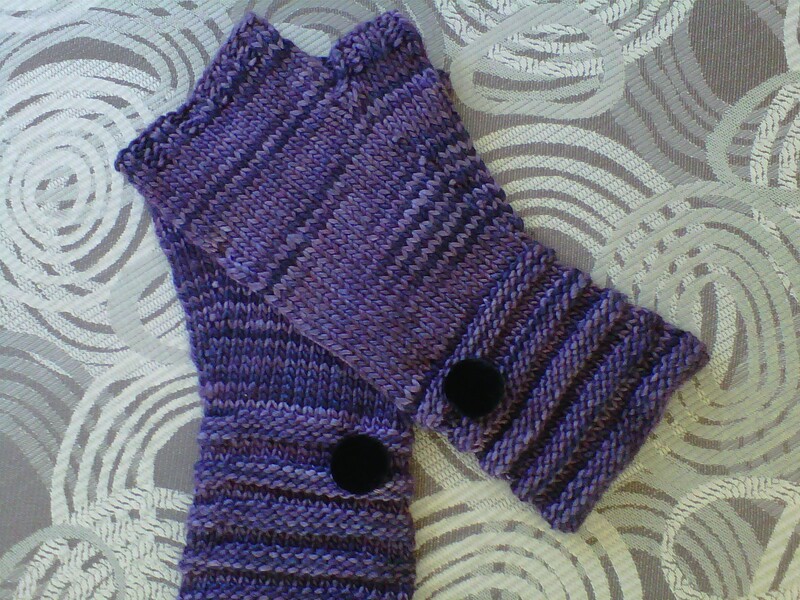 I just could not do one pair of mittens. 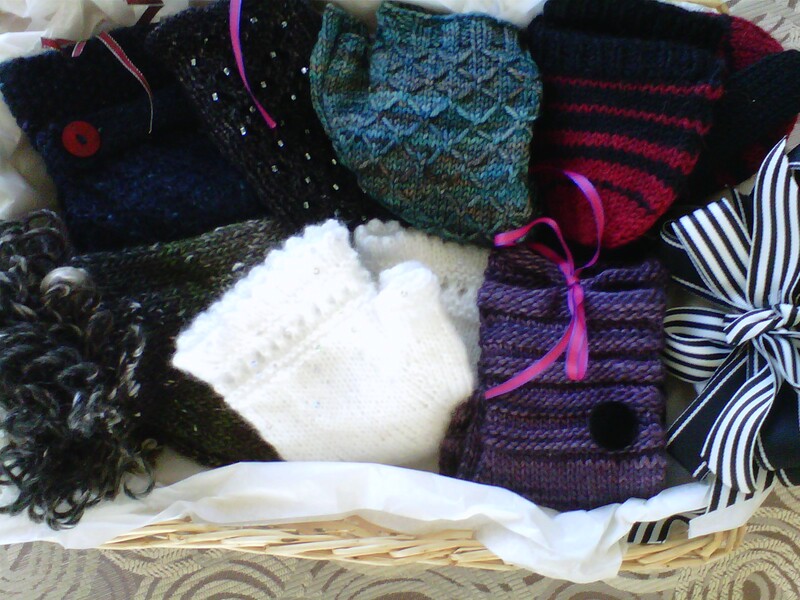 I hatched a plan….a great stash busting plan…..I would knit a “basket of mittens”….One for every day of the week or every occasion. And so the crazyness began…. 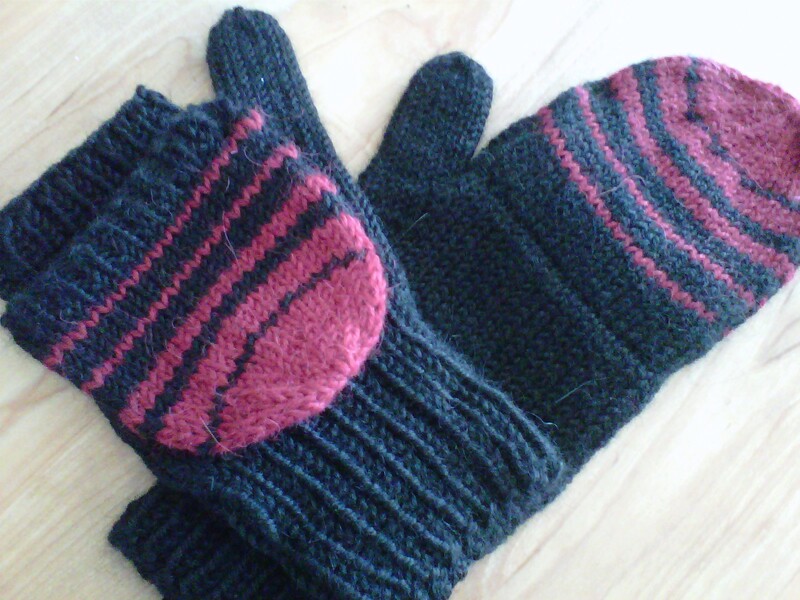 Loop de Loop Mittens, the ones that started the madness. This is a Churchmouse Yarns and Teas shop pattern. 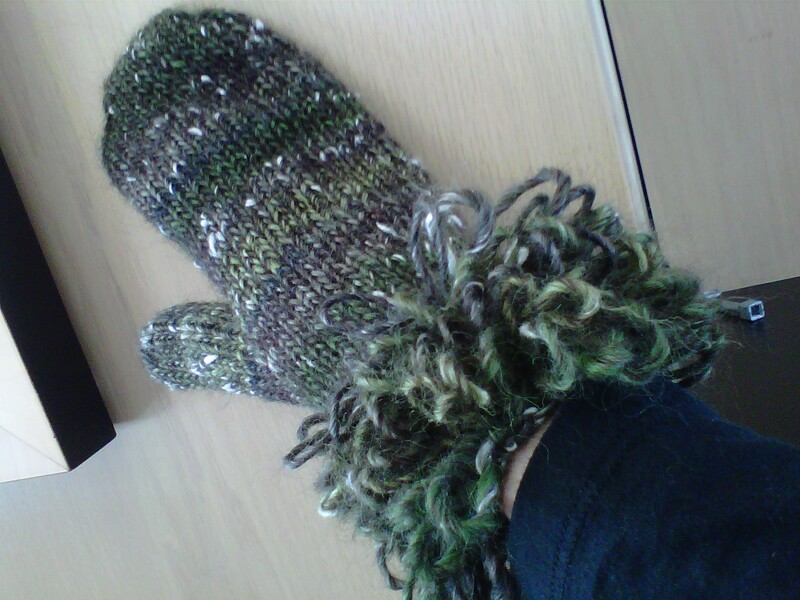 Knit in Plymouth Yarn Mushishi. 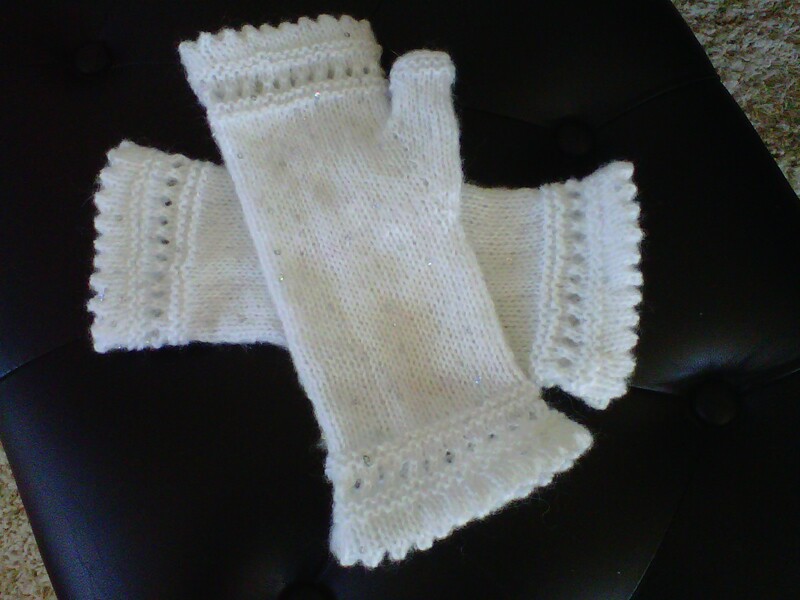 Susie Rogers’ Reading Mitts, free on Ravelry. Knit in Patons Lace Sequin. 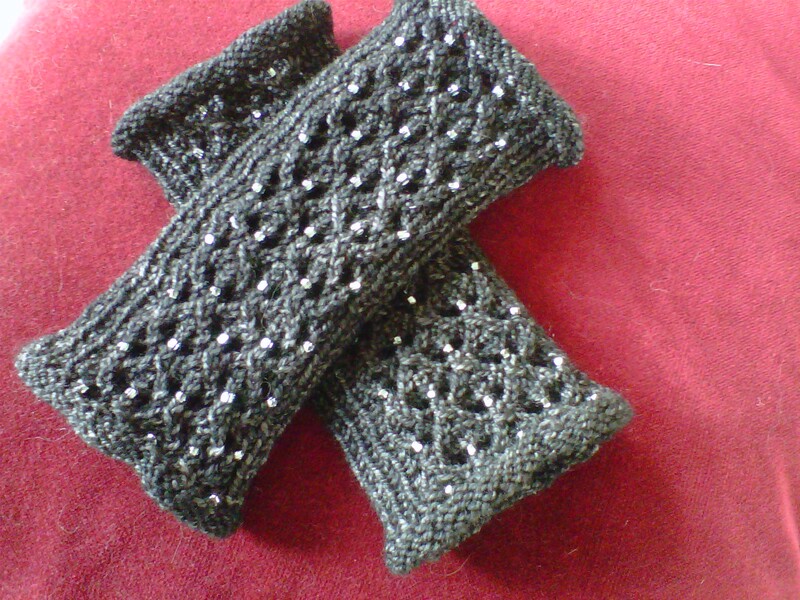 Lace Back Fingerless Gloves. A Churchmouse Yarns and Teas pattern. Knit in Madeline Tosh Sock and beaded. And finally Team Spirit, my personal pattern. A flip top mitten knit in Berroco Ultra Alpaca, I will be releasing the pattern early fall. Here is the basket all wrapped and ready for Auction. Last weekend it snowed. It was the weekend of the auction. 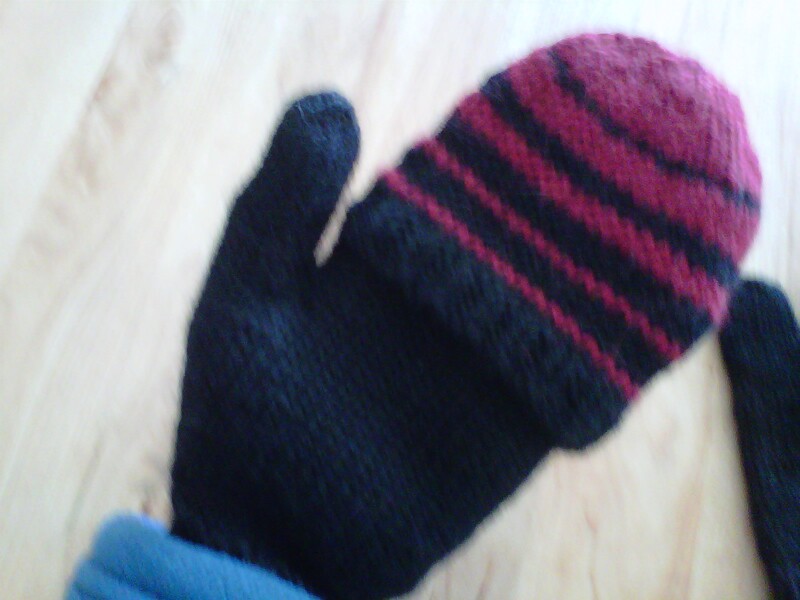 Good news for the bidding on the mittens. This weekend it will be almost 70 degrees here. Bad news for the new owner of the mittens. 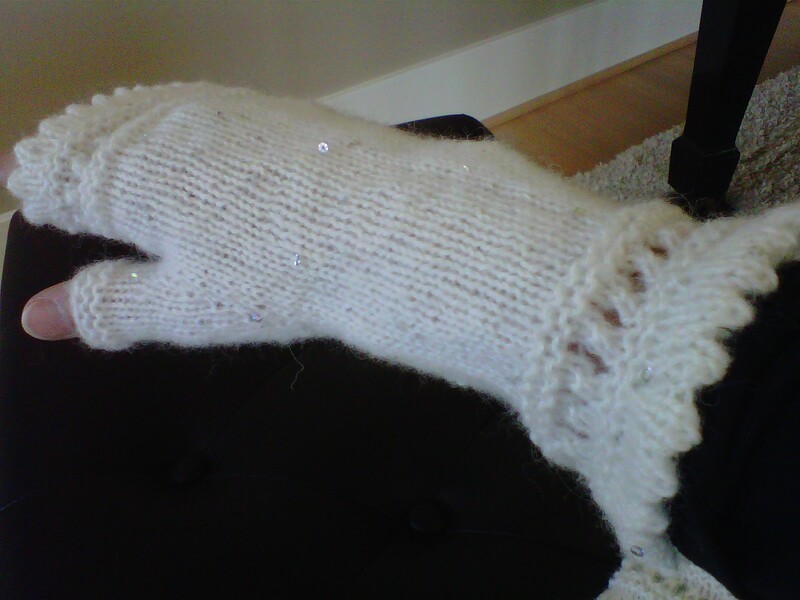 Now I am ready to knit….anything BUT Mittens!!! 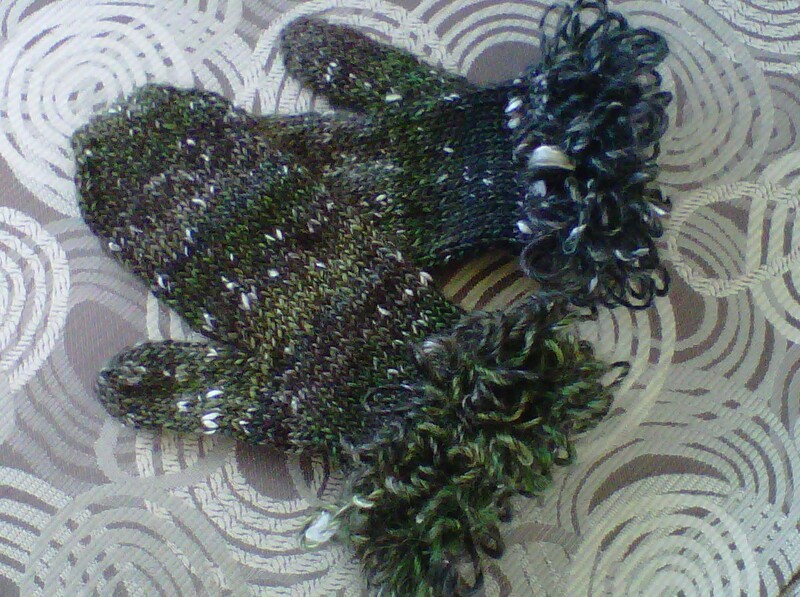 Do you have the pattern for the lace back beaded gloves in dark gray on the red background? I looked at the link and the actual pattern shown is not the same. 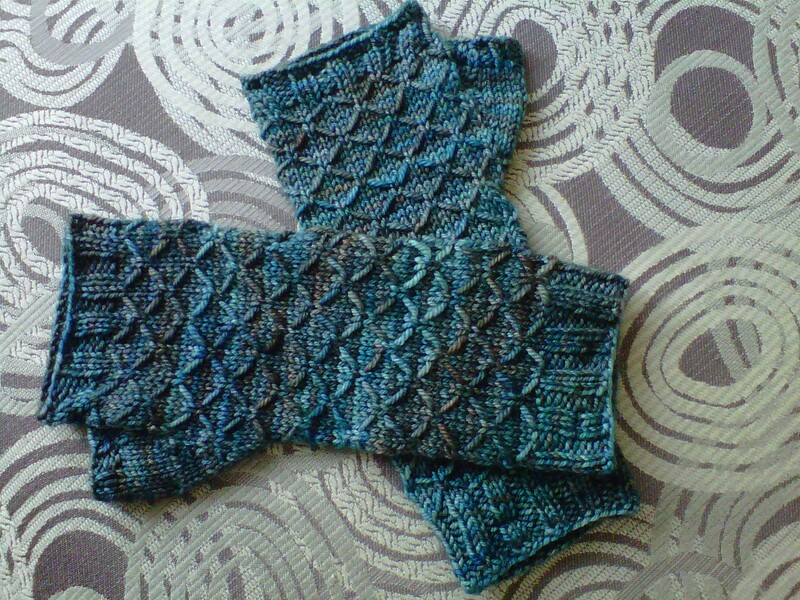 I checked my file and they are the Lace Backed Fingerless Gloves by Churchmouse Yarn and Teas. The pattern has several modification choices and I used the Beaded English Mesh Lace Chart. It is a really fun knit! Awesome! I wish they would mention that in the pattern details. At least what I saw didn’t talk about the available modifications.